PowerPoint files are widely used in our daily life, and now have become very common way to display a product or a lecture. On computer, we are able to view PowerPoint files with Office PowerPoint program, but how can we view PowerPoint files on our smartphone or tablet? It seems to be quite easy to view PowerPoint on smartphone. But there are still many barriers. Even Windows Phone users would meet different problems. For example, with a PowerPoint viewer app installed on your smartphone, you can import the PowerPoint files into the app and then play PowerPoint on smartphone with ease. If you are using a Windows phone, you are able to get the PowerPoint viewer app from Microsoft’s app store. You can also convert PowerPoint to Windows Phone video. This guide would introduce you how to view a PowerPoint on Windows Phone and effective PowerPoint converter to help you convert PowerPoint to Windows Phone video. Without doubt, the first solution most people would think of viewing PowerPoint on Windows Phone is making use of Microsoft’s own PowerPoint Mobile app. 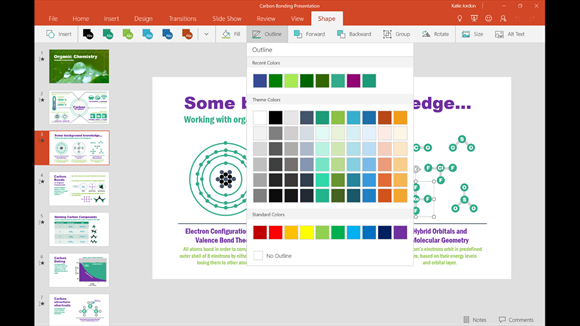 Microsoft PowerPoint Mobile is the best app for reviewing, delivering, and creating presentations on Windows phones and tablets, though it requires Office 365 subscription for full features. The below steps would show you how to open PowerPoint on Windows phones with Microsoft PowerPoint Mobile app. Downloaded and installed PowerPoint Mobile app on your Windows phone. In the App list, click the Office icon. After tapping, PowerPoint files would be opened. You could then view PowerPoint on Windows phone. Besides making use of PowerPoint Mobile app to view PowerPoint on Windows phones, you could also convert PowerPoint to Windows phone video and then transfer PowerPoint to Windows phone for viewing. 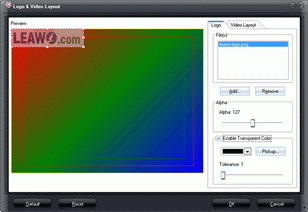 To convert PowerPoint to video files, people will need a PowerPoint converter program. Many pieces of PowerPoint converting software can be found on the Internet. 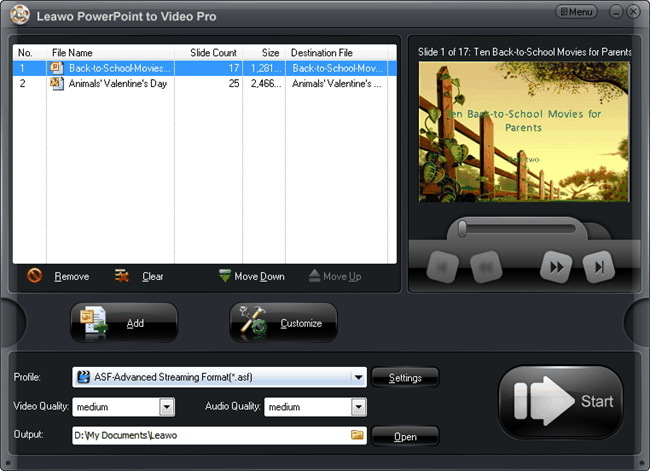 Leawo PowerPoint to Video Pro is regarded as one of the best among these programs. The program is used for converting PowerPoint files to all kinds of standard video and audio files, and it prepares more than 150 kinds of video formats for the users to convert. With Leawo PowerPoint to Video Pro, people can convert PowerPoint to video for Windows phone easily. The following guidance will show you how to do that. You are allowed to free download the program to have a try. 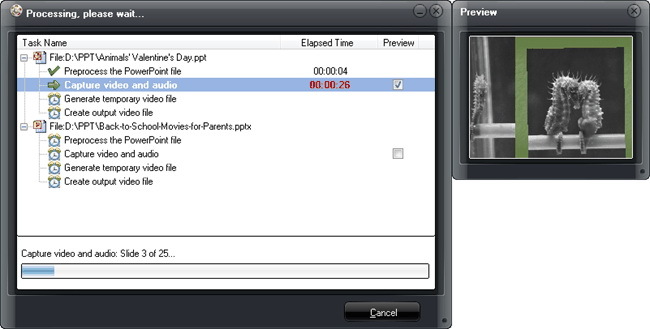 Note that the trial version will add watermarks in the converted video file. The below steps would show you how to convert PowerPoint for Windows phone with Leawo PowerPoint to Video Pro. You can easily learn the detailed steps and then view PowerPoint on Windows phone without any barrier. 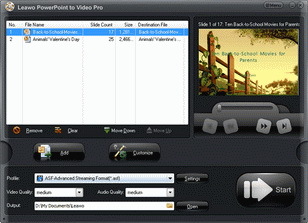 Download, install and launch Leawo PowerPoint to Video Pro on your computer. Click the "Add" button to browse and import PowerPoint presentations into the PowerPoint converter. 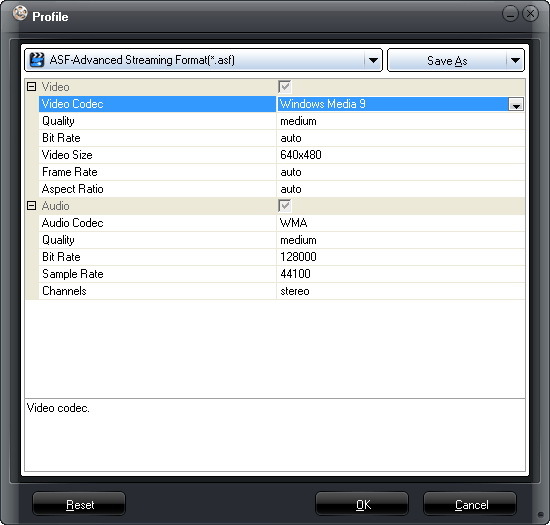 Open the "Profile" box and then set output format. 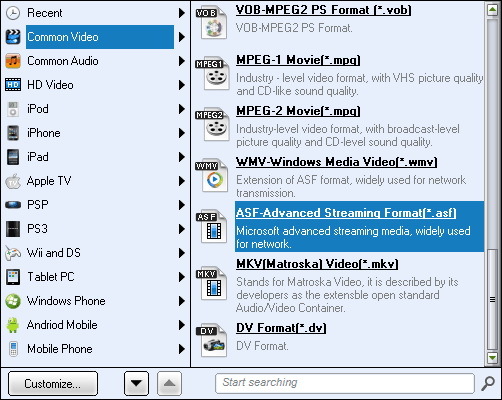 You could choose WMV from "Common Video" group or directly choose one from "Windows Phone" group as output format. Open the "Output" box to set output directory afterwards. With all settings done, click the "Convert" button at the right bottom to convert PowerPoint to Windows phone video. After converting, you could only need to transfer PowerPoint to Windows phone via USB cable.